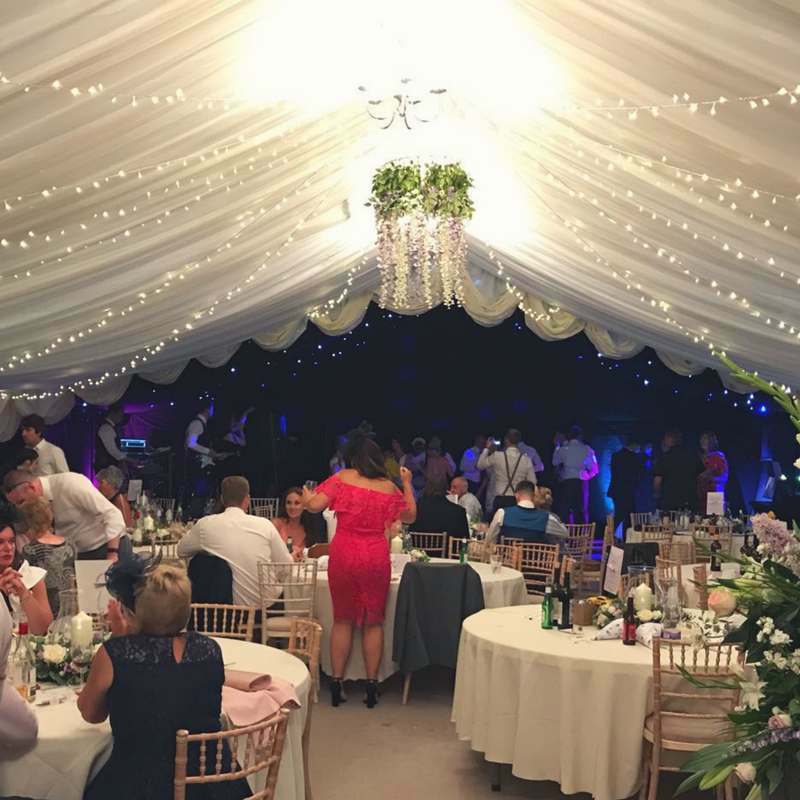 This flower chandelier makes the perfect piece to suspend over the bride and groom’s dinner table, the dessert/sweets table or even over the dance floor. If you aren’t getting married any time soon, do not worry! This chandelier is awesome for all occasions or as a statement light piece in a room in your house. We’ve seen this styled on Pinterest in nurseries through to conservatories, it’s SO versatile! 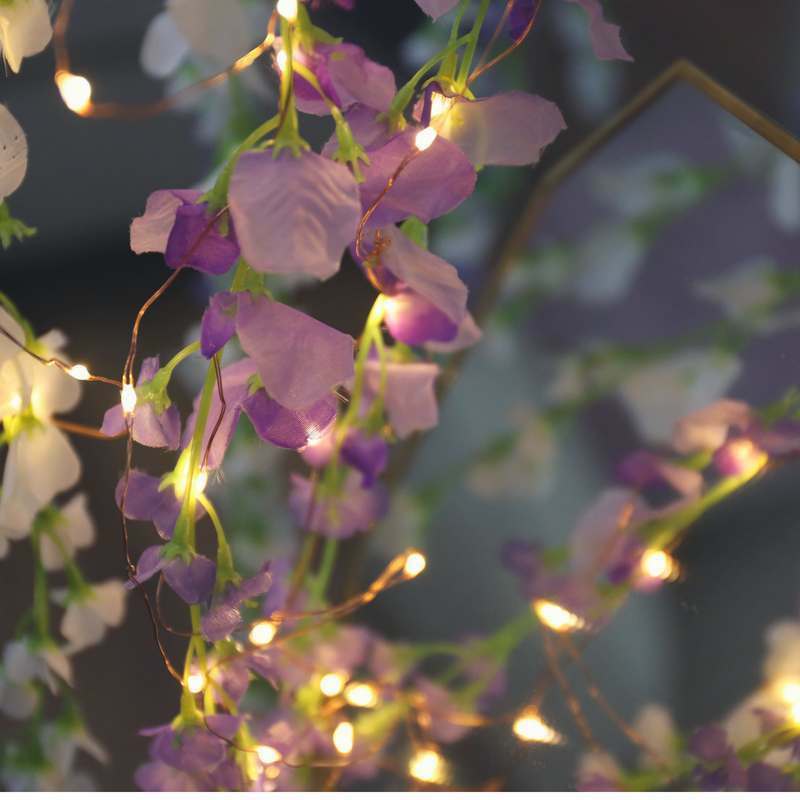 We used our popular curtain light and wrapped it round the flowers; the wire made it super easy and quick to create the piece and gave a gorgeous effect! 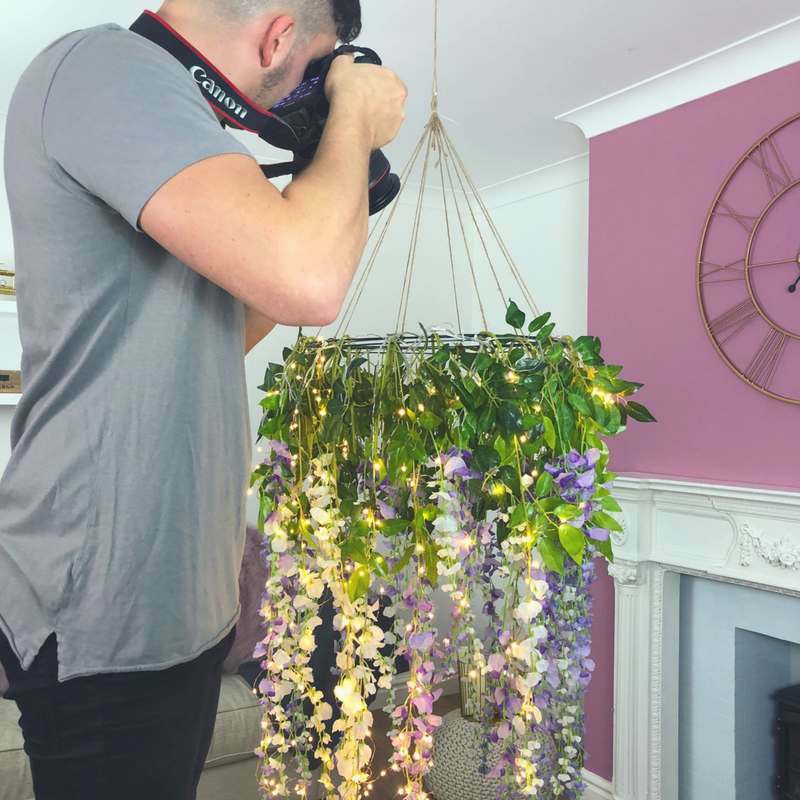 Watch our video and read the steps below to make your very own flower chandelier! 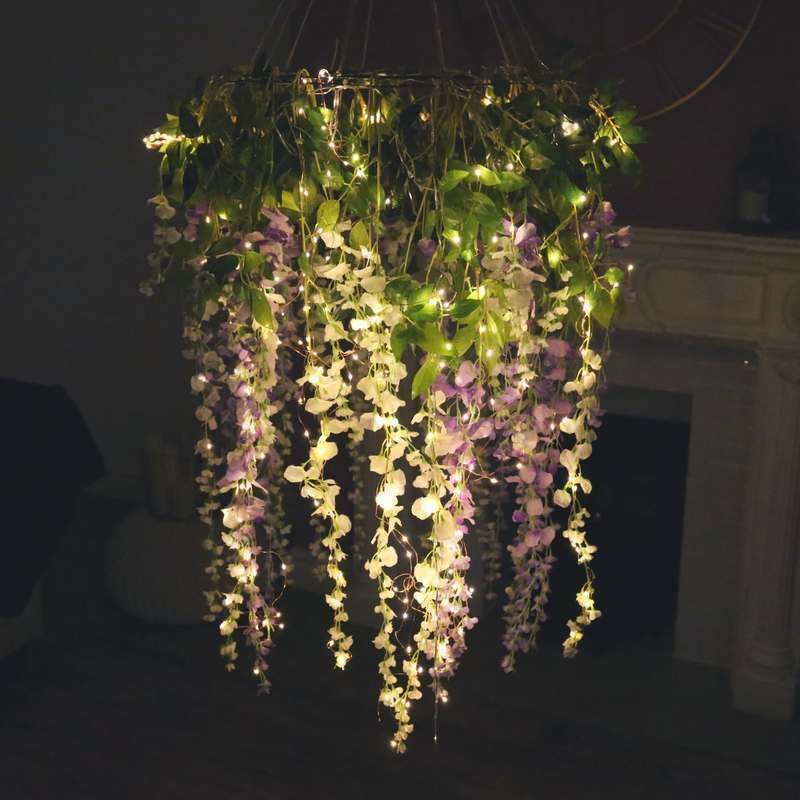 Buy Here – http://bit.ly/2vx8cNX ———————— This flower chandelier makes the perfect piece to suspend over the bride and groom’s dinner table, the dessert/sweets table or even over the dance floor. If you aren’t getting married any time soon, do not worry! 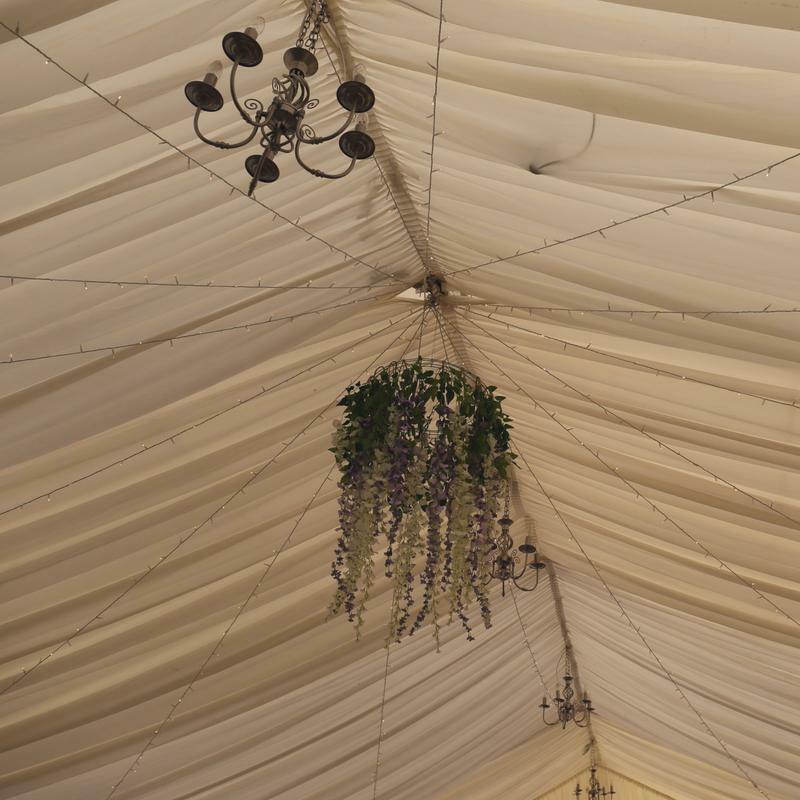 Prior to the video we secured the wire wreath to the ceiling with a Cup Hook and some multi-purpose string. Hook flowers over the wreath, we used a Wisteria with a long stem which was easy to bend and mould around the wreath, and then create a hook for the flower. Space out the flowers in length and colour evenly all the way around the wreath. Wrap the curtain light around the top of the wreath and secure it in place with cable ties. 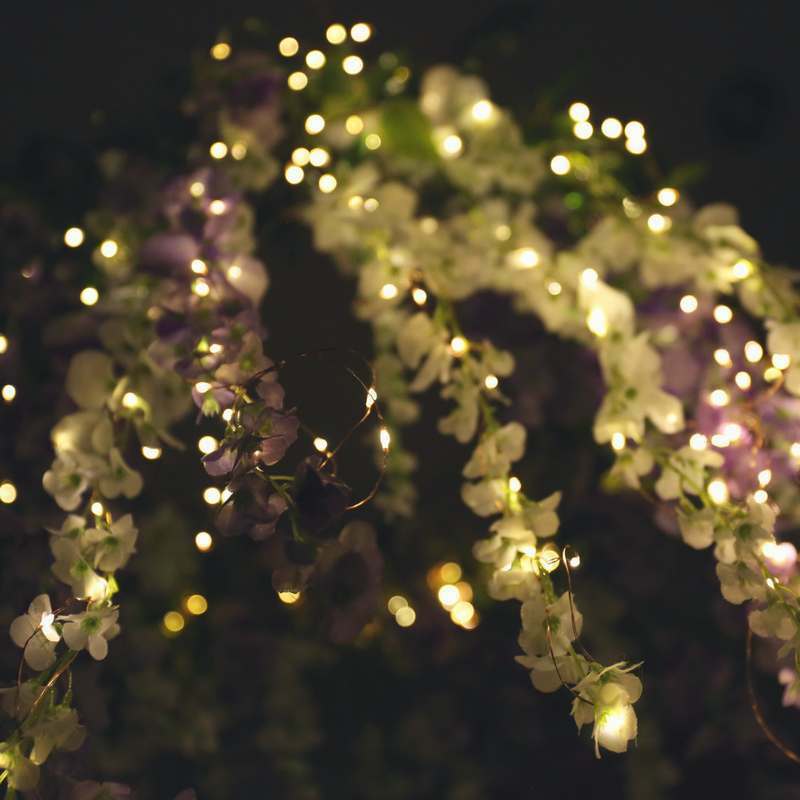 Roll down the light and wrap the wire around the flowers. The curtain wire light makes this super easy as the wire is bendable and will stay exactly in place. 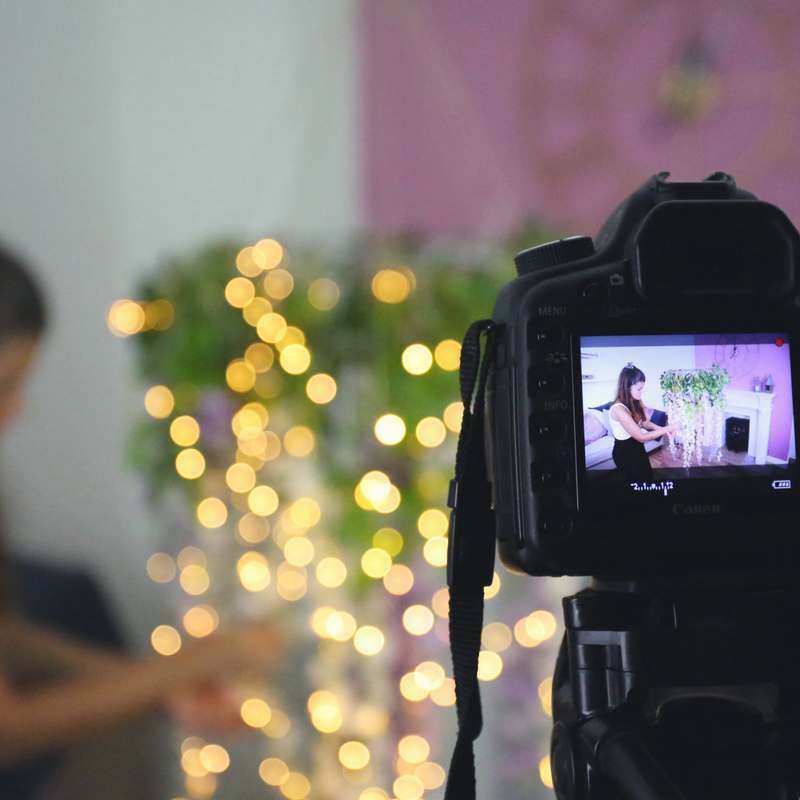 Top tip: The curtain light is delivered pre-rolled up so we advise to leave it like this whilst attaching it to the wire wreath to make it easier to unravel. 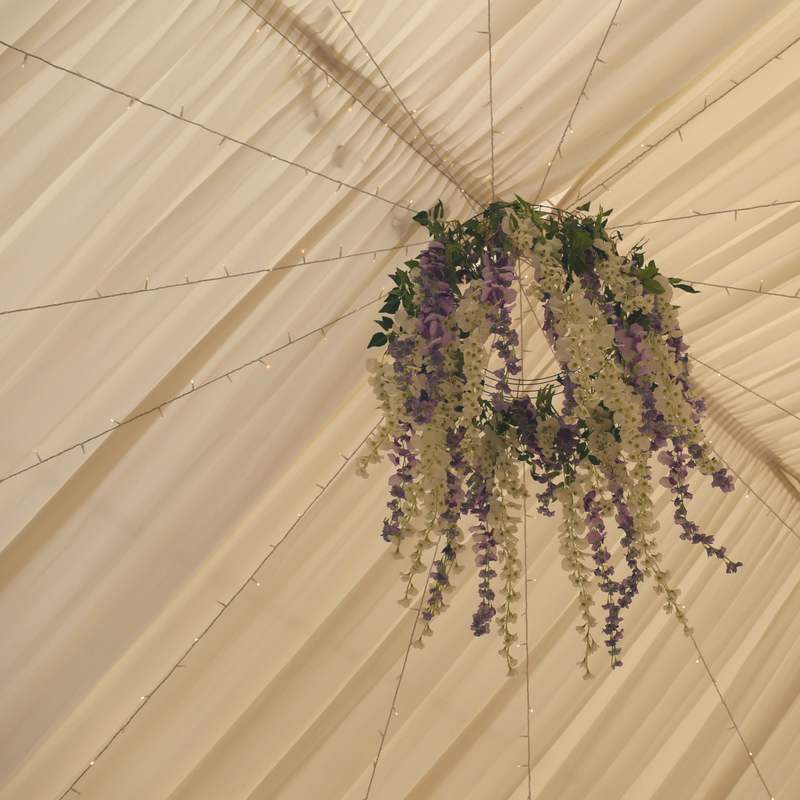 If you roll out the curtain prior to attaching it there’s a chance it will get tangled in the flowers!